Because ARGEN’s 16 experiments are fully independent, users can determine aggregation or degradation characteristics of protein formulations for all samples simultaneously, regardless of their individual time spans (some can take minutes, others can take weeks). When one sample is complete, another can immediately take its place. 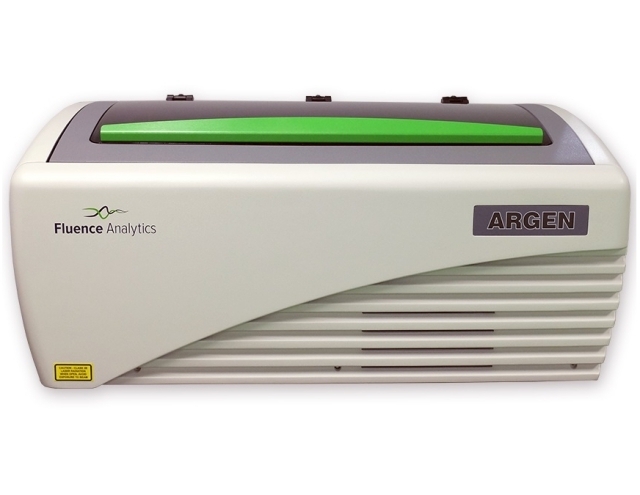 Furthermore, since all data is generated continuously and in real time, ARGEN analysis methods can determine the kinetic Aggregation Rate (AR) for each sample independently. The aggregation or degradation rate offers a valuable and accurate measurement for colloidal stability for protein formulations and polymer solutions. This application note summarizes the use of ARGEN to determine colloidal stability for Bovine Serum Albumin (BSA) at three different solution pH levels. Formulation development teams can use kinetic data collected by ARGEN to see differences in AR within solutions containing surface charged and surface neutral proteins, i.e. above or below their isoelectric point.